With the unrealistic standards of beauty we are bombarded with in society, it’s no wonder so many people suffer from eating disorders. But could it be that many of the causes of eating disorders are based more in biology than sociology? In the second part of “Love Your Brain “ series, Dr. Daniel Amen and Tana Amen describe conditions in the brain and body that may lead to eating disorders such as anorexia and bulimia. 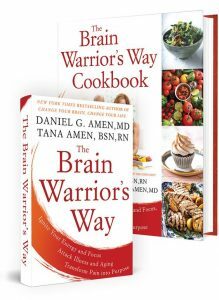 Dr. Daniel Amen:	The Brain Warrior's Way Podcast is brought to you by Amen Clinics, where we've transformed live for three decades using brain spec imaging to better target treatment and natural ways to heal the brain. For more information, visit amenclinics.com. Tana Amen:	The Brain Warrior's Way Podcast is also brought to you by BrainMD, where we produce the highest quality nutraceutical products to support the health of your brain and body. For more information, visit brainmdhealth.com. Welcome to The Brain Warrior's Way Podcast. We are back. We are talking about love your body week and today we're going to talk about some heavy subjects, eating disorders. These are very painful for people who have them. Really hard. A lot of stigma attached to it. A lot of shame. I mean we've done several things now on in because it's such a big topic. Dr. Daniel Amen:	We're going to talk about bulimia and anorexia. In the next segment, we're going to talk about obesity, but there are other eating disorders like nighttime eating disorders. You don't want to eat late at night. There's a dipper complex. If you eat two hours before bed, your blood pressure doesn't dip. Normally say you eat at six or seven o'clock at night and you don't go to bed until 10:00 or 11:00, what happens is because you don't have a lot of food in your body, your blood pressure will drop and that's healthy for you. For the none dippers, which means they eat before bed and their blood pressure doesn't drop, they actually have an significant increase risk for heart attack and strokes because of the persistent high blood pressure. A lot of people do that, especially they have carb snacks as a way to boost serotonin. They worry less. They feel better. Dr. Daniel Amen:	They're medicating themselves with sugar or foods that quickly turn to sugar, but it's not helpful. There are other ways to increase serotonin. We actually make something at BrainMD called Serotonin Mood Support that can be helpful. Exercise helps. Bright light in the morning is actually studied that shows it increases serotonin. Just a little bit on nighttime eating disorders. Anorexia is a potential lethal disorder. Tana Amen:	It's really, really bad. Dr. Daniel Amen:	Where people perceive they're fat even though they're emaciated. Really they're really thin. Dr. Daniel Amen:	They're literally starving. Tana Amen:	... of essential nutrients. Dr. Daniel Amen:	Because they are starving their body, they don't think rationally. In many ways, I almost think of it like a psychotic disorder because it's not rational at all. On their scans, we see that the front part of their brain works way too hard. Once they get a thought in their head, "I'm too fat," whether it's rational or not, they can't let it go. It's like they have a little mouse on an exercise wheel in their brain and the mouse just goes over and over and over, "I'm too fat. I'm too fat," even though there's not evidence of that. Tana Amen:	One thing I want to make sure that we do is cover this from the four circles because I know I struggled a lot with body image when I was young. Struggled for some time. Actually a short period because I was smart enough to get help, but with an eating disorder my teenage years, unlike a lot of people who go through this like forever. What happened was I noticed that for me it was an anxiety issue. Because I never really had a weight problem. It was not as much about that as it was like this anxious feeling. Like control almost. Dr. Daniel Amen:	That's one of the psychoanalytic theories about anorexia. It's I can't control anything else in my life, but I can control this. Dr. Daniel Amen:	Which goes more with bulimia where that anxiety and the release can be taking diuretics or taking laxatives or making yourself throw up. Tana Amen:	Right, wrong or indifferent, I actually figured out that I loved intense exercise. I sort of transferred the ... But that was better than hurting myself. Dr. Daniel Amen:	Intense exercise, also like nighttime eating, raises serotonin in the brain and actually works as an antidepressant. Dr. Daniel Amen:	I guess that's one way to expel the energy. Tana Amen:	Let me talk about what happened when I was a kid. I was really struggling. Of course, it was going through puberty. It was those years we talked about in the last episode. It was during that time. I grew up in a pretty stressful household. Like chaotic. Not a little bit, but a lot of bit. I had a really cool mom. She just was busy and not there, but I was able to talk to her about this. Sadly, she freaked out a little bit because she loved me so much. I remember her taking me to UCLA to their clinic there and I walked in and within 10 minutes of me being there, I'm waiting for the person to come in. She comes in. She gets a page and there's a code blue. I'm like what the heck? I'm a kid, right? I'm like what is going on? Everybody takes off running and she comes back and apparently one of the girls who was in the facility went into cardiac arrest. That's all it took for me. I was like okay, I'm going to find a different outlet for my anxiety. It scared me. It's a little like my uncle doing heroin, right? That scared me so badly I knew I was never going to do drugs. For whatever reason, that was enough for me. Dr. Daniel Amen:	Your crazy environment growing up, you learned from it so you didn't have to repeat it. Tana Amen:	Right. I never knew that it was dangerous. I think that's one of the key points is make sure kids know how dangerous it is. I had no idea you could die from something like that. Dr. Daniel Amen:	We talked about anorexia and how 10% of people who have that die. There's also bulimia where you have periods where you take in a lot of calories. I mean sometimes 4 or 5,000 calories at a time. Now when we have places like The Cheesecake Factory, it's not that hard. Dr. Daniel Amen:	Then you feel awesome about it, so you eliminate it whether it's through vomiting, laxatives, exercise, whatever, which is what I often say in my new book "Feel Better Fast and Make It Last" coming out in November. I talk about you have to be very careful what you allow your brain to do because whatever you allow it to do, it's likely to do it again, and then the behavior almost can become habitual. Tana Amen:	What I really like about how we do things here, I think it's so important because what I learned when I was doing it ... I was young, so this was a long time ago. Long time ago. They really focused on the psychological aspect, which is fine. Okay? But they really over focus on that in my opinion. They didn't focus on any of the other stuff. It was okay, well, you live in a crazy environment or you live by the beach and you're always in a bathing suit or I don't know. It was always that kind of stuff. It was your thinking. It was your mom. What was your mom doing? Dr. Daniel Amen:	Okay. Now you just lost everybody. Tana Amen:	Let me just back up. You have hormones in your body. Dr. Daniel Amen:	... with, and there's the spiritual component. Why do you want to be healthy? Why do you care? What's your biggest sense of meaning and purpose? If your biggest sense of meaning and purpose is to be that model on Instagram, then you're much more likely to develop an eating disorder. Tana Amen:	Right. If that's your big purpose. Dr. Daniel Amen:	It's looking at those four circles. Under biology. Tana Amen:	Biology. You have these hormones that are designed. Some make you hungry and some make you feel full. Okay? You can see where the problem is if those are out of balance. People who are obese, they have found that oftentimes those are very out of balance. The ones that make them feel full are low. The ones that make them feel full are high. With anorexia, they actually also found that their somatostatin, which that is a hormone that makes you feel full, like after you eat, you get this feeling like okay, I've had enough to eat, theirs was so out of balance. Like so high. That if they took a bite, they would get that feeling. You can see where the problems are. It's not just all psychology. There are either issues biologically. Dr. Daniel Amen:	Knowing that can be so helpful. Plus here's a little secret, I call it practical nurse science. If your vitamin D level is low, the hormone leptin that tells you to stop eating doesn't work anymore and you're hungry all the time. If we think of for bulimics who they desperately want to be 105 pounds even though they're 5'7", but because they don't go out into the sun because the dermatologist, one, they made us afraid of the sun and their vitamin D level is really low, they're hungry all the time. They can't properly balance their appetite. Tana Amen:	Really important. You already mentioned the social circle, who you hang out with. Dr. Daniel Amen:	... because genetics are really important. What runs in your family? Do you have a tendency to be anxious? Do you have a tendency to be depressed? Do eating disorders run in the family? Did you have a head injury? So common. The imaging studies on anorexia, the ones I've done, their frontal lobes work too hard. With bulimics, they have this pattern we call impulsive-compulsive. Part of their frontal lobes works too hard. It's called their cingulate gyrus. They worry. They hold grudges. Things don't go their way, they get upset. Another part of their frontal lobes, the under side, doesn't work hard enough, so they're impulsive. They can't control their impulses, but they get stuck. They get stuck on a thought and then they can't control it properly. I think bulimia is the perfect impulsive-compulsive disorder and compared to anorexic. They have like 300% increase risk of having ADD. ADD has to be ruled out with bulimia. It's actually fairly rare in anorexia. Tana Amen:	They're almost the opposite. Dr. Daniel Amen:	Anorexias are more like OCD. Tana Amen:	Do you remember Chloe? She has a very busy brain, and she was struggling with body image during that time. When we scanned her, her brain was super overactive. She didn't have anorexia. She like to eat, but she was so controlled. It was a little worrisome how much she controlled her food. I was like, "Wow. That's not normal control. That's like some serious control there." Once we balanced her, she stopped doing that. She literally stopped doing that. 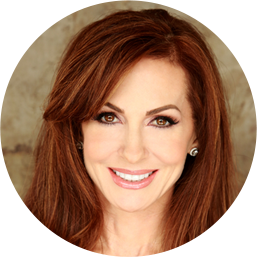 Dr. Daniel Amen:	She still makes good choices. Tana Amen:	Really by choice now. It's not a compulsion. Dr. Daniel Amen:	It's not obsessive. Dr. Daniel Amen:	Right. Okay. Then the social circle. How does that show up in ... This is not ... Let's just be super clear. Eating disorders are not teenage disorders, right? I mean they often start in adolescence, there are a lot of 50 year old people that have eating disorders. Tana Amen:	Even with me, those feelings that I described, like that anxious feeling, two other times in my life they popped up. Fortunately, I'm able to recognize them so I could get it under control really quickly. After I had cancer and I had no control over anything in my life and after my divorce when I felt the same way. I felt sort of hopeless and out of control, and I felt that same like intense lack of control and that anxiety coming up. Fortunately at that stage, I have more to work on it for and I understood and recognized it. You can figure it out, but if you don't recognize it and you don't see it coming. Dr. Daniel Amen:	If you're struggling with an eating disorder or you have a child or a loved one who is, it's really this four circle approach to understanding it, but then let's also talk about what to do about it in a bio, psycho, social, spiritual way. Tana Amen:	Well, you mentioned the social part and I think that's really important because we do live in a place where the value on looks and name brands and everything is so high. Trying to do something to counter that and keeping your child connected to something that is more important, whether it's volunteering, doing mission work, church, whatever it is for you, that gives them a different perspective to realize that is not the end all in the world. I'm just really clear that this whole Instagram issue is a problem. That's social. Dr. Daniel Amen:	My name brand is Hollister. It's so soft. The sweatshirts are $39. Tana Amen:	I do admit to Lululemon because I wear gym clothes like 90% of the time. That is my downfall. Tana Amen:	You can make it worst. Dr. Daniel Amen:	... that you are malnourished and we're going to talk about that the next time when we talk about obesity. Many obese people are actually malnourished. Sort of that sounds crazy. Tana Amen:	But you brought up one thing that I can't let go. The way you eat, especially if you have a compulsive ... Where you have to eat a lot, you can't stop it, how you eat can actually affect that. I know there are a lot of therapists who teach like there's no bad food. I'm like, "Hmm, I'm not sure about that." There's no bad whole real foods, but when we're talking about processed foods that are made with chemicals and they're designed literally to make you addicted, that's not true. If you're eating certain foods, you are actually doing to your hormones what we talked about before. You are with those foods, putting them out of balance. That will make you hungrier. There are foods that can make it worst. Dr. Daniel Amen:	When your blood sugar is low, you're much more likely to make a bad decision with food, which you'll then want to throw up. I have a great example. I was treating this 23 year old woman who had bulimia. She did really well. We're having her journal and chart her progress. She had three weeks where she did great, but then one day she didn't eat at work and she went out to a restaurant to meet her friends. She hadn't had anything to eat for like 12 hours. The first thing they did was order drinks. She had a drink. What does alcohol do? Tana Amen:	Drops your frontal lobe. Dr. Daniel Amen:	Drops your frontal lobe. Tana Amen:	Makes you more impulsive. Dr. Daniel Amen:	Then she didn't order the nachos, but one of her friends did. Ordered the nachos. Tana Amen:	You start eating it. Dr. Daniel Amen:	She started eating it and then she ate too much and then she felt full and then she went to the bathroom and made herself throw up. Dr. Daniel Amen:	If you go, "Oh, well, you shouldn't have eaten the nachos," it's like no, it starts way before that. Tana Amen:	Way before that. Tana Amen:	No. You need to figure out the root cause. Dr. Daniel Amen:	... to when you go into vulnerable situations. Tana Amen:	Yeah. Because oh by the way, the day before, if she had eaten something processed, heavily processed with a lot of chemicals, that set her up too. People don't realize that. Dr. Daniel Amen:	You're so smart. Tana Amen:	It annoys me. Dr. Daniel Amen:	That's why I like you because you're so smart. Tana Amen:	It irritates me. Tana Amen:	And feel full. FYI, you will feel full. Dr. Daniel Amen:	... if you're nourished. Then, of course, you want to get your important numbers check. You want to check your thyroid. You want to check your vitamin D level to make sure that your brain is as healthy as it can be. Then the psychological circle, the interventions or whenever you feel vulnerable, start journaling. Write down what you think. You don't have to believe every stupid thing you think. If you hang out with people who have eating disorders, you're so much more likely to have that. Tana Amen:	Or people who are over focused and that's all that's important to them is their looks. That's going to be a problem. If everything is about money, looks, partying, that's going to be an issue. Dr. Daniel Amen:	We often say the fastest way to get healthy is find the healthiest people you can stand and then spend as much time around them as possible. Then the spiritual circle I find is just so important. Tana Amen:	Why is the world a better place because you breath? I love that question that you always ask people. Does it have eternal value? It's so different seeing Chloe now from Chloe when she ... We don't really like the schools in our area. It's a long story, but anyways, we're happy to miss all that drama. We homeschool her, but we keep her involved in a lot of social activities and she got really involved in the leadership program, the student leadership program, at church. The level of purpose that she feels and that is purposeful. That's important. Dr. Daniel Amen:	There's less depression when you feel purposeful. There's less anxiety when you feel purposeful. It doesn't mean there's none, but it's less because your focus is not on you. It's on how you can help others. When you are outwardly focused, you are less obsessed about your body. Stay with us. 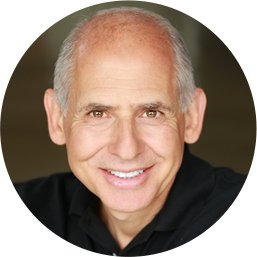 Dr. Daniel Amen:	Thank you for listening to The Brain Warrior's Way Podcast. Go to iTunes and leave a review and you'll automatically be entered into a drawing to get a free signed copy of The Brain Warrior's Way and The Brains Warrior's Way cookbook we give away every month.